American and Iraqi leaders have pleaded with Iraqi Kurdistan to postpone their independence referendum, planned for September 25. Turkey, meanwhile, called for the referendum to be cancelled entirely - but the Kurds aren’t willing to change their plans without getting something in return. Iraqi Prime Minister Haider al-Abadi and several other leaders traveled to the de facto Kurdish capital of Erbil in northern Iraq on Monday. The main topic of conversation, according to executive secretary of the Patriotic Union of Kurdistan (PUK) Mala Bakhtiar, was the planned independence referendum. PUK is a left-wing Kurdish nationalist party that supports independence and controls 18 of the 111 seats in Kurdistan's Parliament. Bakhtiar said that Iraq offered financial and political concessions in exchange for an agreement to postpone the referendum — but the Kurds said they would not postpone without fixing a new date for the vote. Kurdish negotiator Abdullah al-Zaidi said that the Kurds "want guarantees … the question of the guarantees has been left to the next round of talks." He added that there may be a second round of talks with Baghdad later in August. A major sticking point between the Iraqi government and the autonomous regions of Iraqi Kurdistan is a territorial dispute over the oil fields around the city of Kirkuk. The city, which has major populations of Kurds, Arabs and Turkmen, is currently under Kurdish control after Iraqi forces abandoned it in 2014 during a battle with Daesh. Iraqi Kurdistan is also deeply in debt, to the tune of $10-12 billion. Major public works projects to prepare for statehood and fielding armies of Peshmerga fighters to face off with Daesh for the last three years have bankrupted them. The Kurds have requested that Baghdad help them settle these debts, which they used to help with but stopped once the Kurds began to build their own oil industry. There is no legal mechanism for a part of Iraq to leave the rest of the country; the constitution has no clause for it. As a result, Abadi has called the Kurdish referendum "unconstitutional." Turkish Foreign Minister Mevlut Cavusoglu also urged the Kurds to reconsider the referendum — but to cancel it, not postpone. "Our expectation from Erbil is clear, that is the cancellation of the referendum, as the interests and future of the Kurds lie in a united Iraq," he told reporters in Baghdad on Wednesday. "Ankara hopes that all problems between the sides will be solved with dialogue and understanding, within the framework of Iraq's border and territorial integrity." "We intend to proceed with the referendum on September 25 to allow our people to determine their own future," said Masrour Barzani, leader of the Kurdistan Region Security Council and the son of Kurdistani President Massoud Barzani, on Tuesday. "This remains the only solution; forced coexistence in Iraq isn't working." US leaders have also asked Massoud Barzani to postpone the referendum: US Secretary of State Rex Tillerson in August and US Secretary of Defense James Mattis on Tuesday. American leaders fear that Kurdish independence could destabilize the fragile coalition of nations battling Daesh in Iraq. "Our point right now is to stay focused like a laser beam on the defeat of [Daesh] and to let nothing distract us," Mattis told reporters on Wednesday. 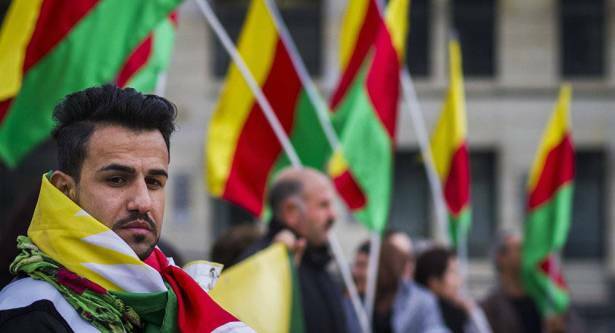 But many Kurds feel that they have waited long enough. "In 100 years we haven't had the right time. When will be the right time for the referendum?" asked PUK spokesman Said Ahmed Pire to Al Jazeera. The Kurds were subjects of the Ottoman Empire for almost 300 years, but when the Ottoman Empire collapsed their lands were divvied up between what are now Iraq, Turkey, Syria and Iran. All four nations' governments oppose the creation of an independent Kurdish state.